It is 1979 in a small town in Ohio. 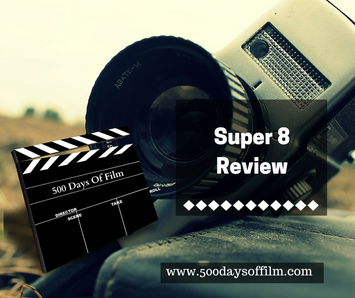 A group of friends decide to make a Super 8 zombie movie. While shooting the film at night near some railway tracks, they witness a catastrophic event. Realising that this was no accident and that their lives are now in danger, the friends decide to keep quiet about what they have seen. However, this becomes increasingly difficult in the face of the strange and disturbing occurrences that begin to take place in the town. Okay I just love this film. I love it. I think I have watched it four times and would happily watch it again right now. The first 20 minutes are a just remember to breathe, roller coaster ride. The pace is brilliant, the tension fabulous fun. You are then completely hooked. Or at least I was! The story, shot mainly from the point of view of the young filmmakers, feels familiar but in a really good way. Produced by Steven Spielberg, Super 8 has his fingerprints all over it, which is perhaps why the film just feels so wonderfully nostalgic. The genius of Spielberg is that he makes you care for the characters in his movies. As a result, when he then puts those characters in danger, you are really on the edge of your seat worried for them. You can't help but fall in love with all of Super 8’s central characters. Their chaotic and frenetic energy is both hilarious and full of gorgeous innocence. Click here to join the FREE 500 Days Of Film Club! The film focuses on Joe Lamb (Joel Courtney) in the aftermath of the tragic death of his mother. He and his father (the ever wonderful Kyle Chandler) are struggling to come to terms with their grief and how to move forward. The scenes depicting the distance between father and son are so movingly portrayed. Joe seeks solace and support in the company of his fellow filmmakers and particularly from new friend Alice (Elle Fanning). In typical Spielbergian style, it is up to this group of friends to figure out the mystery that has befallen their town. Super 8 is funny, nostalgic and the ending feels really satisfying. See it and tell me what you think! Writing this has made me want to watch Super 8 again. I just loved the way they have to wait so long for their film to be developed. Do you remember that feeling? Director JJ Abrams has been criticised for his use of lens flare in this movie. The strange thing is that, unlike in his Star Trek film, this didn’t bother me at all. Just wondering if my 11-yr old is ready to watch this - the film is great fun but it is also pretty intense. The boys also swear quite a lot and there is one instance of what the BBFC refers to as “strong language”.